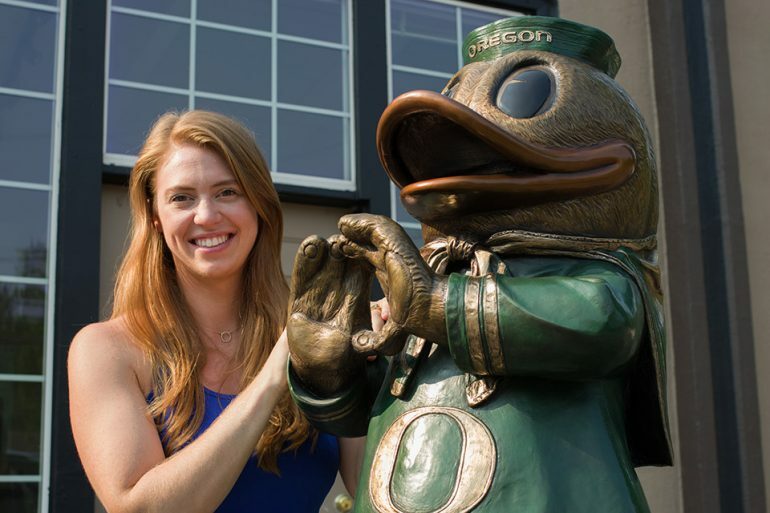 As a college student at the University of Oregon, Alison Brown searched for a career that would be fulfilling. She knew she loved art, but didn’t think she could make a living sculpting. Then she discovered her calling was all over campus—in the form of Puddles the Duck, the university’s mascot.